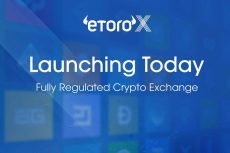 As part of eToro’s ever-expanding offering of crypto assets, the ETH/XLM pair is available for trading and investing. This cryptocurrency pair represents the value of a single Ether token, represented in Stellar Lumens (XLM). Traders and investors who believe the ETHXLM price will rise could open a long (BUY) position on this crypto pair, and traders who believe the opposite could open a short (SELL) position. Both Ethereum and Stellar can be affected by various factors, and changes will be reflected in the ETH XLM chart. It could be claimed that both Ethereum and Stellar are significant milestones in the evolution of blockchain. The technology was first put to use by Satoshi Nakamoto, the unknown creator (or creators) of Bitcoin. Nakamoto set out to invent a new type of currency, built on a decentralized network which uses a public ledger for transaction verification. 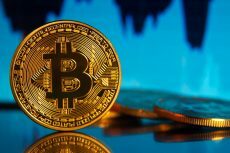 The proof of concept was a success and Bitcoin became quite popular, not only as an alternative to traditional currencies but as a use case for blockchain technology. The next step was not far behind, as the Ethereum network was created by blockchain pundit, Vitalik Buterin, to enable developers to harness blockchain for other uses. By enabling developers to do anything from creating decentralized apps (Dapps), through minting new cryptocurrencies to creating blockchain games, Ethereum brought the blockchain promise to the public. It is no wonder that the Enterprise Ethereum Alliance (EEA), which promotes the use of the platform for many technological uses, has members from companies such as Microsoft, Intel and J.P. Morgan on its board of directors. Not much time after Ethereum, other blockchain-based solutions emerged. One such solution was Stellar, which was created with a social agenda. Stellar was founded by former Ripple Labs founder Jed McCaleb, who, alongside co-founder Kim Joyce, created the company as a nonprofit organization. The Stellar protocol could be used for various purposes, focusing on money conversion and transfer. Since XLM is used as a bridging currency on the Stellar network, each token’s value is extremely low. There is no “middleman” in blockchain. The network relies on a public ledger which exists everywhere. This means that Stellar could also be used to give bankless societies access to money management tools – which is one of the company’s main goals. One prime example of a Stellar application is its ability to convert phone credits back into currency – a service that can benefit poor communities around the world. Pinning Ethereum against Stellar can give cryptocurrency traders and investors a fresh option of diversifying their portfolios. Since the ETH/XLM price is measured in cryptocurrencies on both ends, it enables diversity while still remaining in the realm of crypto. Much like other crypto assets, the ETH XLM chart could demonstrate great volatility at times, giving traders many opportunities for both short and long-term investments. 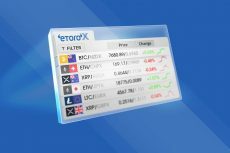 Joining the constantly-expanding selection of crypto assets on eToro, the ETHXLM pair could prove to be an interesting addition to many crypto traders’ portfolios.